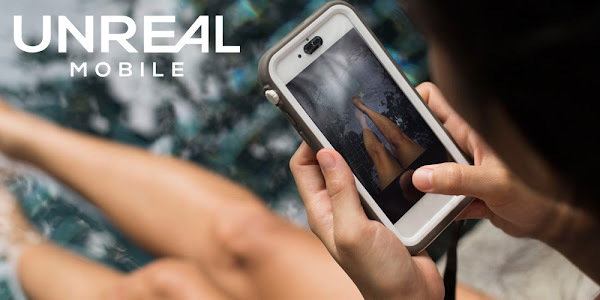 Unreal Mobile is a new MVNO running on Sprint's network, offering 'unlimited' cell phone plans starting as low as $10 per month. 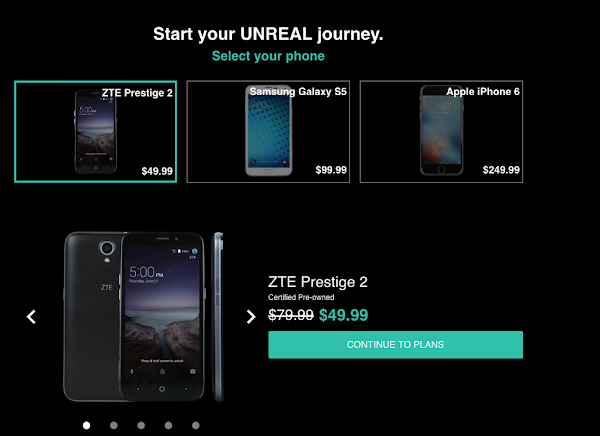 The company is promoting it as the “lowest priced unlimited plan” and requires no contract or credit check to sign up. Now the term 'unlimited' is used somewhat loosely here, as it only refers to minutes and messages. 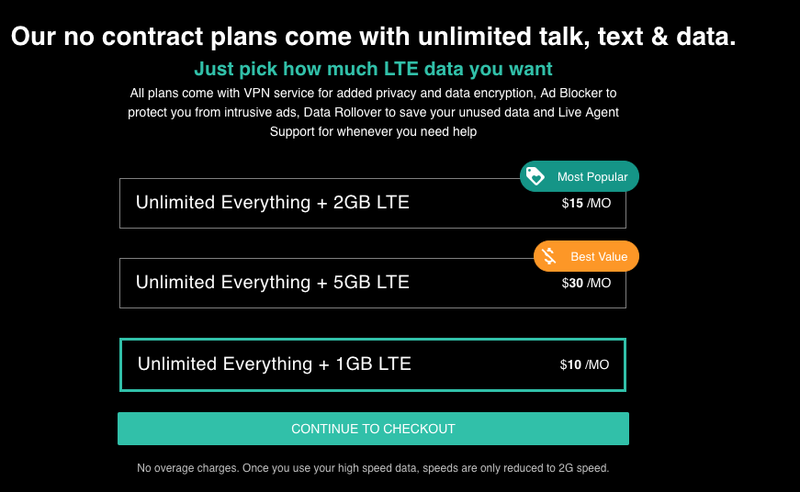 Even though the data is technically free, its limited to 1GB of LTE use before its reduced to 2GB speeds. To get started, you can either use the carrier's 'Bring Your Own Phone' service to check if your existing device is compatible, or pick from one of the devices that the carrier offers. Unreal Mobile has three plans in total. Besides the $10 per month plan, customers can pick 2GB of LTE per month for $15 and 5GB of LTE data per month at $30. All you need to do is pick how much of monthly high speed LTE data you need and you are set. 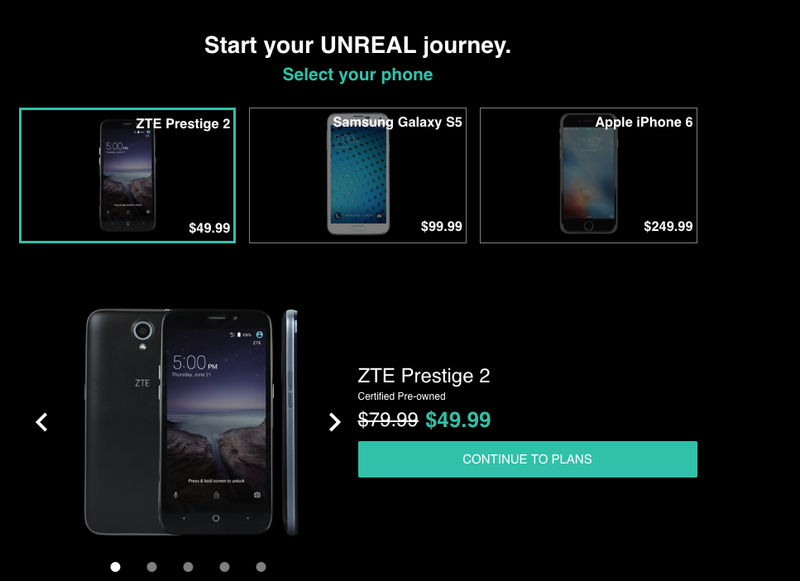 According to Unreal’s website, all plans include a built-in VPN security service that lets users browse anonymously without being tracked, an ad blocker and the ability to roll over unused data for free.